A trademark is a valuable business asset. And if you’re planning to enter the Chinese market, having the accurate knowledge about the process for China trademark registration will save you time and energy. Trademarks protect different kinds of intellectual property, including your products and services. They also influence the consumer’s purchasing decision because it mirrors the reputation of your brand. Apart from these vital reasons, keep in mind that China doesn’t recognize unregistered trademark rights. So it’s wise to register your trademark in the region before you build your business. 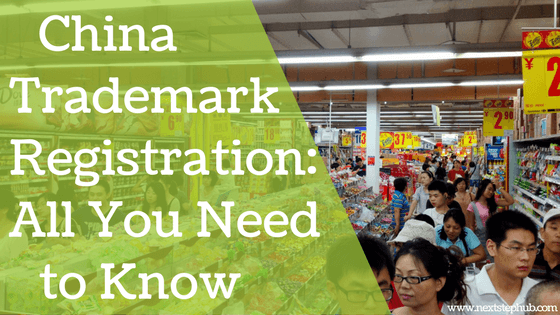 Today, we’ll dive into the process and regulations of China’s trademark registration. Chinese trademark law has the “first to file” system. This means that whoever files a particular trademark first will get the rights. Once your trademark is approved, it will be valid for ten years with a right of renewal for one more decade. Also, since the official written language in China is Mandarin Chinese, it’s best to register your brand name in Chinese characters. You can register words, design, letters of an alphabet, numerals, symbols, and even color combinations. To check if your trademark names are still available, you can go to their government website. Here you can search for similar trademarks, check your application status, and read the TM Gazette. Here are the documents you need to prepare to apply for trademark registration. Enterprise License such as Company Registration Certificate, Business Registration Certificate, Business License, etc. Trademark pattern in clear JPG format. Description of your goods and services which the trademark is applied to. Name of the entrepreneur, your company address, email address, and phone number. When you file your application, it will take you about 2 months to receive the notification of acceptance. After 9 months, you’ll get the result of the trademark examination by the China State Intellectual Property Office. Once your trademark passes the examination, it will be published on the website TM gazette of China trademark for around 3 months. If no one opposed the trademark, you will receive the certificate of the trademark within a month. The products you can register are split into 45 Classes. Each Class has subclasses, which include codes of potential products. Below, you’ll see how the classification looks like. There’s no limit to the number of Classes you can pick to register your trademark. Chemicals used in industry, science, and photography, as well as in agriculture, horticulture and forestry; unprocessed artificial resins, unprocessed plastics; manures; fire extinguishing compositions; tempering and soldering preparations; chemical substances for preserving foodstuffs; tanning substances; adhesives used in industry. Surgical, medical, dental and veterinary apparatus and instruments; artificial limbs, eyes, and teeth; orthopedic articles; suture materials. Precious metals and their alloys; jewelry, precious stones; horological and chronometric instruments. Leather and imitations of leather; animal skins, hides; trunks and traveling bags; umbrellas and parasols; walking sticks; whips, harness, and saddlery. Building materials (non-metallic); non-metallic rigid pipes for building; asphalt, pitch, and bitumen; non-metallic transportable buildings; monuments, not of metal. Household or kitchen utensils and containers; combs and sponges; brushes (except paint brushes); brush-making materials; articles for cleaning purposes; steelwool; unworked or semi-worked glass (except glass used in building); glassware, porcelain, and earthenware. Ropes and string; nets; tents, awnings, and tarpaulins; sails; sacks; padding and stuffing materials (except paper, cardboard, rubber or plastics); raw fibrous textile materials. Meat, fish, poultry, and game; meat extracts; preserved, frozen, dried and cooked fruits and vegetables; jellies, jams, compotes; eggs; milk and milk products; edible oils and fats. Medical services; veterinary services; hygienic and beauty care for human beings or animals; agriculture, horticulture, and forestry services. China’s trademark registration is a long process, so remember to stay patient. In the end, your efforts will be worth it, because you can serve your Chinese consumers while obeying the rules of their market. The article China Trademark Registration 2017 was written by Hi-Com Asia.